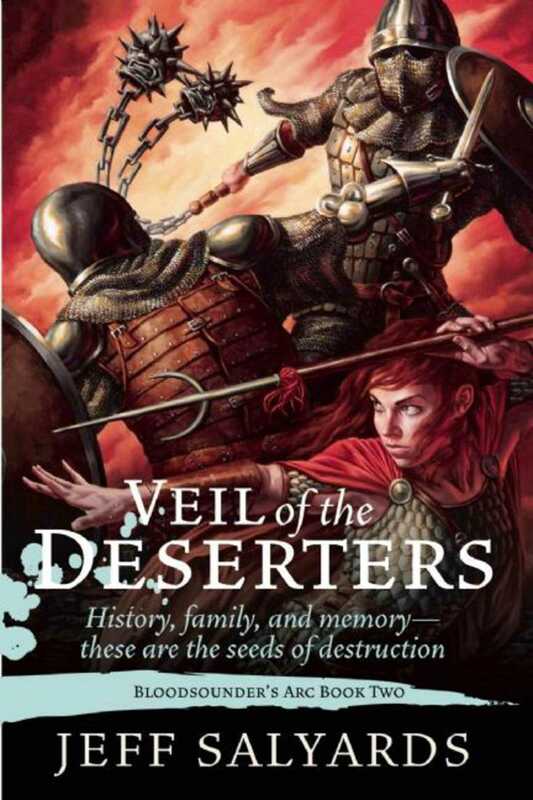 Veil of the Deserters is the second book of Bloodsounder’s Arc, which picks up as Captain Braylar Killcoin and his army continue to sow chaos among the political elite of Alespell. Braylar is still poisoned by the memories of those slain by his unholy flail, Bloodsounder, and attempts to counter this sickness have proven ineffectual. Deposed emperor Thumaar plots to remove the repressive Cynead, and Braylar and his sister lie at the heart of his plans. The distance between favored shadow agent of the emperor” and exiled traitor” is an unsurprisingly short road. But it is a road filled with blind twists and unexpected turns. Before the journey is over, Arki will chronicle the true intentions of Emperor Cynead and Soffjian. And old enemies in Alespell may prove to be surprising allies in a conflict no one could have foreseen.